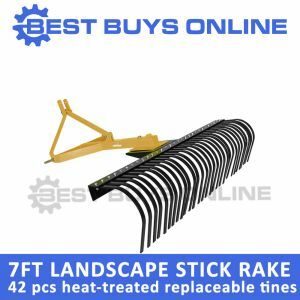 The perfect three point linkage Landscaper Rake is ideal for grading, leveling, spreading top soil or gravel. 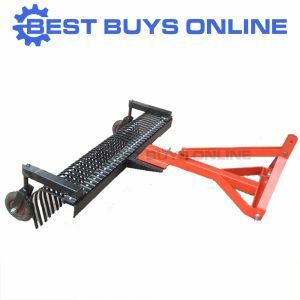 The FILR4 is an excellent rake for use on tractors 20 - 50 HP. Attach the 4 foot stick rake to your tractor with the 3-point hitch and start working away. 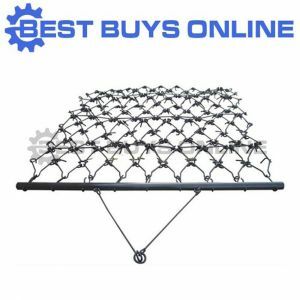 Ideal for leveling uneven ground with the leveling off blade and the tines breaking up the soil. Tractor landscape rakes also allow you to remove stones, roots, rubbish from lawns or paddocks and to break up clumps. 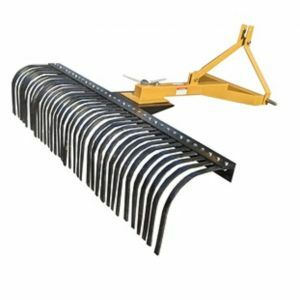 Often used on driveways, parking lots, horse exercise yards or in the paddocks, this QUALITY tractor landscape rake is guaranteed to get plenty of use at AFFORDABLE PRICE. The rake has adjustable angle allowing for reverse settings and clearing off to the side. 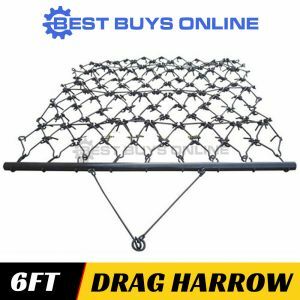 Strong teeth for using over uneven terrain.